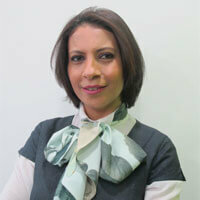 Hanan is an international Trainer, Executive Coach, Personal Development Expert, Writer and an inspirational Speaker. She is also the producer and presenter of the first coaching and human development TV show 'Develop your Life' on DM.TV. With more than 16 years experience in the corporate world in various industries, Hanan, a holder of a CIPD accredited Masters degree, a post graduate degree in Human Resources Management, a bachelor degree in English Literature and a CTI Co-active Coaching certification, helps organisations to achieve their goals through their people using custom Coaching and training programs. In 2005, Hanan was recognised as one of the nation's most distinguished professionals by being awarded the Dubai Government Excellence Award by H.H Mohamed bin Rashid Al Maktoum, ruler of Dubai. Hanan is a regular guest in the media as a professional & personal Coaching Expert, recently appearing in Emirates Today Magazine, Xpress Newspaper, Time Out Dubai, Al Bayan, Khaleej Times, SME Advisor, MBC, Dubai One, Al Aan TV, Rotana TV, and other regional press. 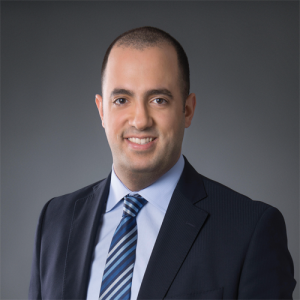 Ahmed Mokbel is a Learning and Development Expert, with more than 14 years’ experience designing, and delivering learning and organizational development transformation solutions designed to support business sustainability. Corporate Academies Design & Implementation. 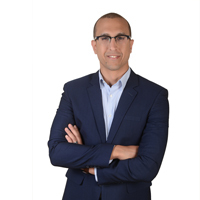 Ali AlBayati is an International Trainer with New Zealand Passport, Executive Coach, Personal Development Expert with more than 10 years’ experience in delivering successful training programs in the GCC, MENA region and Australia. Expertise in developing, implementing and evaluating training strategies including programs and procedures to address organization's requirements. Ali prides himself with being a bilingual trainer and coach who deals with people from different regions of the globe through training and personal coaching. Effective Management Skills – Education Zone (Dubai). Amina is a Mechanical Engineer passionate about optimizing leadership and facilitating growth & development. She is a Certified Emotional Intelligence Consultant, an Advanced EQ Trainer & Assessor, and a Certified International trainer & Master Coach of Neuro-Linguistic Programing from The American Board of NLP (ABNLP). She is an Accredited Co-Active Professional Coach Member of International Coach Federation (ICF), a Certified Experiential Learning Trainer approved for Level 2 & 3 ILM Qualification Courses. She is a Personal Development Expert with 10 years Experience in Coaching and Training. Amina works with C-Level executives by structuring consulting interventions to drive transformation and enable sustainable change. She also works with young leaders to optimize leadership potential and maximize performance, through complete programmes of assessment, coaching and experiential learning methodologies. Amina is qualified to deliver full certification courses in NLP and TLT® with the Seal of Excellence of the ABNLP & TLT®, as well as Emotional Intelligence Leadership & People Management trainings, Psychometric assessments & leadership profiles by Six Seconds Org. Master Coach of Neuro-Linguistic Programming (NLP) from the American Board of NLP (ABNLP). A charismatic and experienced Trainer and Facilitator with 14 years of experience in Training and Development. Bashar is a trainer for Customer Service Excellence and has trained more than 1500 candidates across multiple industries including EAD. 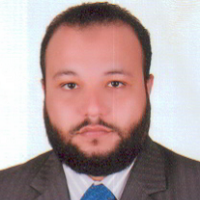 He has designed more than 200 training programs in Arabic and English at all organisational levels. Bachelor Degree in Humanities with a major in English Literature from Damascus, Syria. Approved trainer of Level 2 and Level 3 ILM qualification courses. 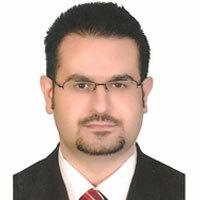 Bashar brings 14 years of experience in Training, Development and Human Resources. He has trained and recruited more than 1500 candidates across multiple industries and designed more than 200 training programs in Arabic and English at all organisational levels. Bashar has led a team of management consultants providing effective business solutions and strategic advice to multi-nationals in the MENA region; improving processes, behavioral mind-set, change initiatives and structural considerations. 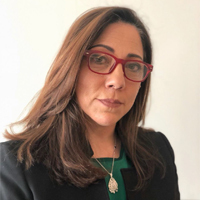 Skilled Human Capital Development scholar, Personal Branding Strategist and Organizational Behavior Lead Educator with passion in applying Organizational Behavior science in Human Capital development area for more than 14 years of field experience . Gihan has been in HRD several senior leadership positions. She's Adjunct Lead Educator at University of Dubai. Besides, she is the managing director of ETREEK Personal Branding @ work consultancy based in Hamburg, Germany and the Human Capital Development Partner and Exclusive Lead Educator at HNI Training & Coaching. Gihan she worked across multiple industries including Telecom, Pharmaceutical, hospitality and Oil & Gas at board level and in close partnership with CEOs and MDs to drive learning and talent development interventions and to enhance workplace relationships. Gihan received A 5 STAR "Rockstar" Educator Award of excellence from University of Dubai for 4 consecutive years for superb performance in the area of Human Capital Development and Organizational Behavior. Gihan's work methodology stands for exploring areas of possibilities and potential, eliciting solutions and strategies , enabling new thinking and behaviors by being fully present with an open mind and a welcoming heart to create a workplace environment where the key questions of how to act, how to think, how to behave and how to be" evolve" through experiential learning interventions. Gihan's Latest book is about Professional Personal Branding at work will be released soon. Key Programmes Delivered- Below are just the key topics. Gihan has the experience of delivering trainings in various topics. Full list can be provided on request. Happiness at workplace: the science and the practice. Mohamed is a licensed international Bi-Lingual Master Facilitator and a Performance Coach with more than 12 years’ experience in 9 countries. He has developed state-of-the-art training programs for world class organizations in industries such as Banking, Government, Retail, FMCG, Oil & Gas, Pharmaceuticals, Real Estate & Construction, and NGOs. 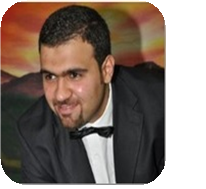 An engaging speaker with outstanding presentation and demonstration skills at world-class conferences and events, Mohamed applies various experiential learning methods, and provides both one on one coaching conversations and group coaching in most training workshops. He is also personal consultant to many successful entrepreneurs. Mohamed is a licensed and renowned trainer and coach in the fields of Neuro-Linguistic Programing (NLP) and Neurosemantics (NS). NLP and NS are disciplines which study the structure of subjective human excellence in performance, and how this can be transferred and developed in the form of step-by-step practical techniques to those seeking peak performance in personal and business life. He has extensively researched ways to adapt NLP and NS techniques to the business world, and has successfully boosted the performance of thousands of individuals within many organizations. Mohamed possesses a natural ability to quickly build rapport, engage trainees and build and sustain high energy with outstanding charismatic presence and excellent presentation/demonstration. He currently holds many internationally accredited licenses and can certify internationally accredited programs. Best known for his enthusiasm, passion, extensive expertise in human excellence and peak performance coaching and his one-of-a-kind ability to challenge his audience to perform at their best; Mohamed demonstrates high influence on attitudes towards unleashing the very best performance in the personal lives and business careers of his trainees. A proficient learning consultant, Mr. Mohamed Hasan has more than 9+ years of experience in the learning & development field. He has designed training programmes that for various industries. He also provided training on voice and accent neutralization. 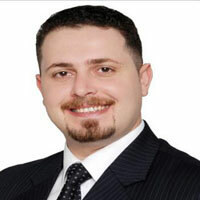 He has managed the planning, design and implementation and delivery for clients across the GCC region. He has helped in identifying the clients training needs and wants. He has a wide knowledge on Human Resources and helped in improving the capacities of new training processes and performance measurement. Certified BEST T&D (Baseline Enterprise Standards for Teleperformance), to design, develop, deliver and evaluate trainings curriculums & coach employees. 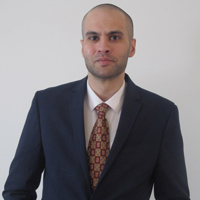 Nahed is an IT Management Master's graduate from The University of Texas at Dallas and holds a Bachelor's degree in International Business from Notre Dame University. He is a SHRM-SCP certified professional and became a test writer for the SHRM certifications in 2016. Nahed brings more than 10 years of experience in business, higher education, corporate training and HR consulting throughout the MENA region. Key Programmes Delivered:Below are just the key topics. Nahed has the experience of delivering trainings in various topics. Full list can be provided on request. Paul Campbell is an International Trainer, with a diverse portfolio of experience and knowledge in tailored training and engaging delivery. Paul is a specialist in Train the Trainer, Project Management, with more than 15 Years’ experience delivering complex projects and people management with blue chip companies such as the BBC, Reuters and ING. Delivering and communicating with high profile companies required a very high standard of efficiency, team work, people management, and training, which led him into Leadership & Management and people development. Paul’s worked as a Project Manager led him to leading many project teams from various organisations. This business experience has given him a profound interest in people and life skills such as motivation, self-belief, fear management, leadership, stress control and ‘getting things done’. Paul's confidence and self-belief began with Sport, and during the 80's and 90's Paul became a successful Athlete, achieving International Running Honours on a number of occasions for Great Britain up to Marathon distance. He still runs and believes wellness keeps him energized and disciplined to provide a very high standard of training design and delivery that is focused on providing high impact to performance. 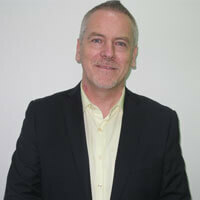 Paul has worked throughout the Gulf region for many years and has been based in the UAE since 2011. He appeared on the Dubai One Emirates Business News being interviewed on the importance of Sales Development within the SME business community. Talent Management Programme (Accredited, includes International Exchange). Jack has; knowledge, experience, credentials, and public recognition for the work he has done as a trainer. He is a specialist in management topics, soft skills and professional development for all organisational levels. He is enthusiastic about learning being relevant, interesting and engaging the learner. He has held various industrial positions prior to becoming a trainer. These include being a business consultant for a number of years and an operations manager responsible for multi-million pound contracts. Having held such jobs he understand and relate to issues and can draw upon those extensive experiences. Jack is passionate about what has been learnt in order that it makes a positive impact and the skills are transferred to the workplace. He targets the needs of the organisation and the delegate, but does not lose the element of fun and enjoyment that maintains interest. His extensive management experience is supported management degrees. A Masters Degree in Business Analysis and a Post Graduate Diploma in Management Studies. He has also been awarded the status of Fellow by The Royal Society of Arts and The Institute of Leadership and Management. He works for The University of Portsmouth specialising in work based degrees and international students. His research maintains a thorough understanding and up to date knowledge of management, personal development and leadership concepts. He studied on the Professional Doctorate programme at Middlesex University. Jack has worked throughout the Gulf region for many years and brings his knowledge and experience for the benefit of organisations to achieve their goals. Ashraf Mokhtar is a seasoned banker and finance professional with more than 26 years of management, training and consultancy experience in the banking sector. During his tenure at the Egyptian Banking Institute (EBI) as Auxiliaries Manager, he certified as a Master Trainer, and went onto become a Certified Business Edge Trainer from the International Finance Corporation (IFC) World Bank Group. In addition to his remarkable career record at various local and international organisations, he has served as a Lecturer at the University of Alexandria, and has delivered trainings at Al Rajhi Bank, Institute of Banking, Riyadh Chamber of Commerce and also appeared as a guest speaker at the Ohio State University, Columbus, etc. to name a few.A graduate of Southern Illinois University Carbondale, USA, Ashraf is a subject matter expert in Trade Finance, UCP 600, ISBP 681 issued by the International Chamber of Commerce, Paris. Feras Banna is a Lebanese/Canadian Professional Development Facilitator, Coach and Mentor working in the field of training since 1998. Born and raised in the Middle East, Feras is familiar with the local business culture, and incorporates his knowledge and experience to the particular intricacies of the region into the design and delivery of his training programmes. Feras specializes in the design and delivery of training programs targeting leadership and interpersonal skills. He also offers consulting services on the Management of Training Units, effective Succession Planning, Career Development Planning for high-potential employees and conducting Training Needs Analysis. Feras has a wealth of experience in the training profession, including Management Trainer at Saudi Arabian Chevron, Training Manager at Al Ahli Bank of Kuwait, and Senior Manager of ORAT Training and HR Implementation for Qatar Airways. Feras hold a BSc degree in Physics, from Dalhousie University, Nova Scotia, Canada and an Executive MBA from University of Wales, UK.